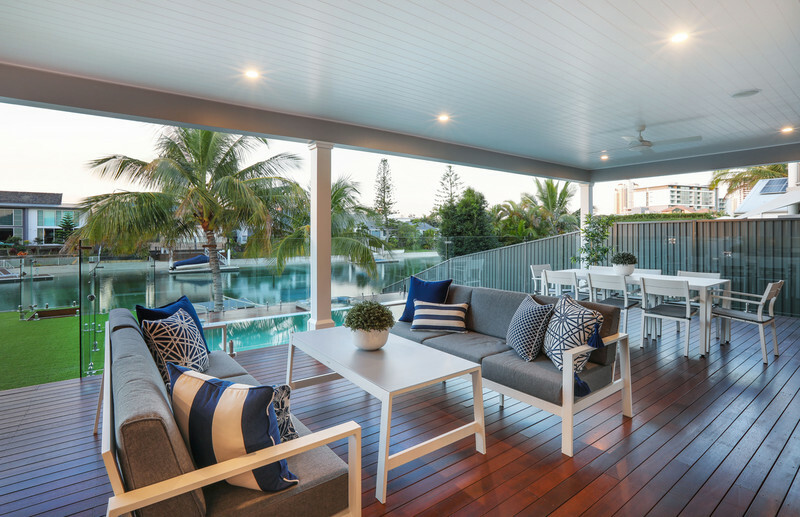 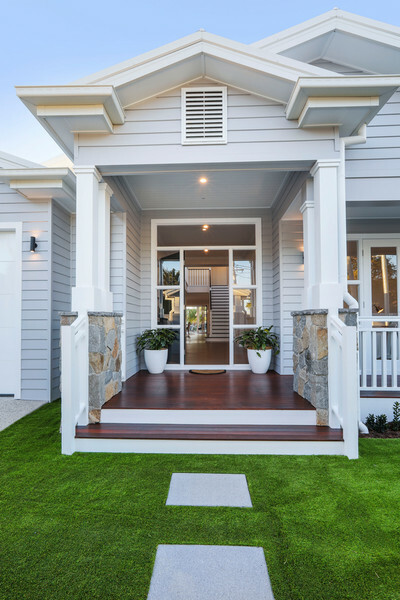 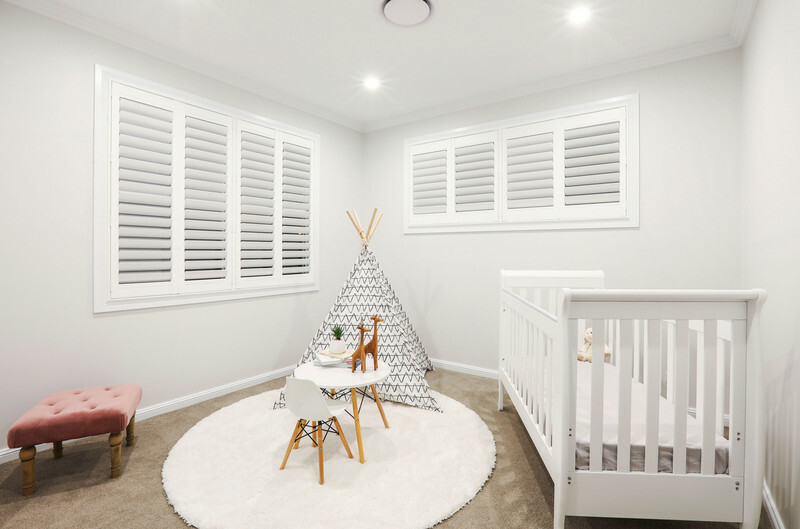 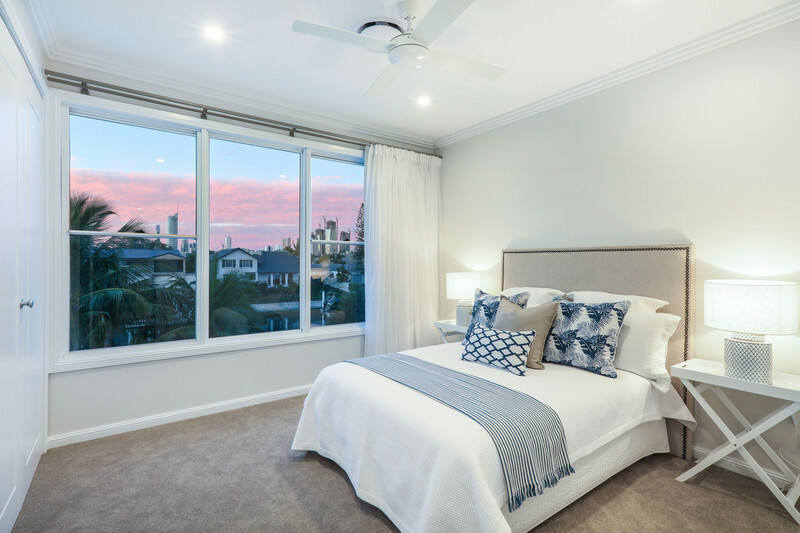 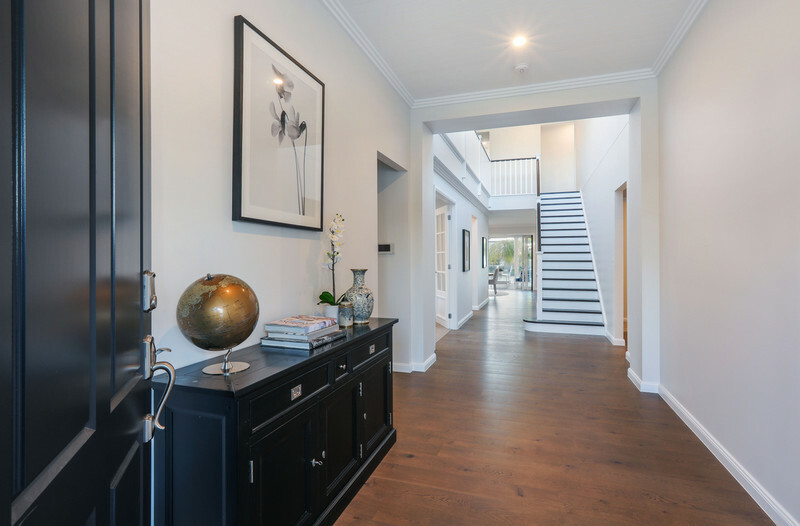 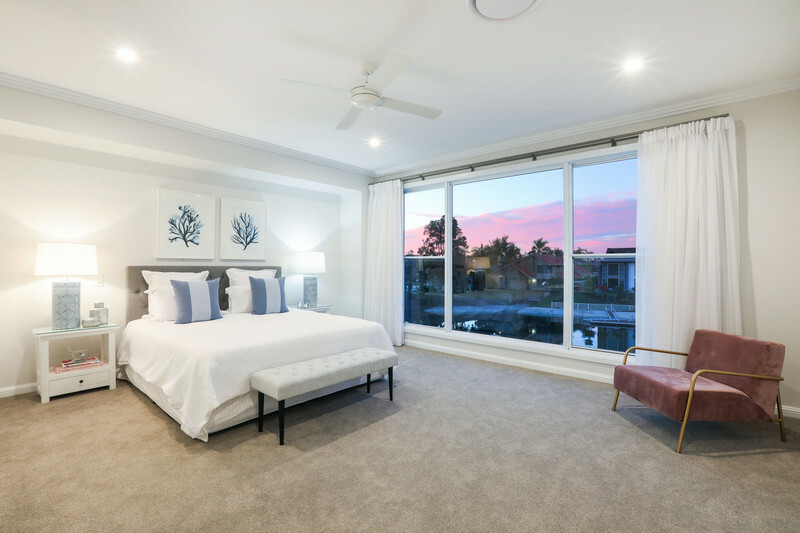 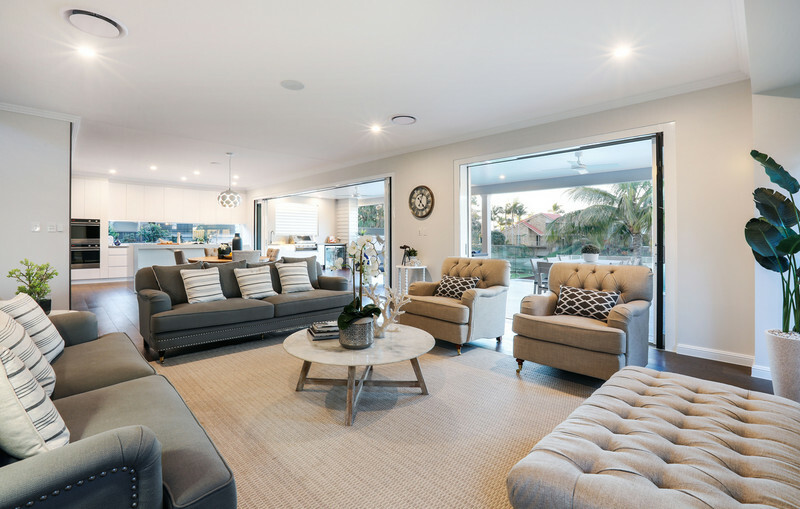 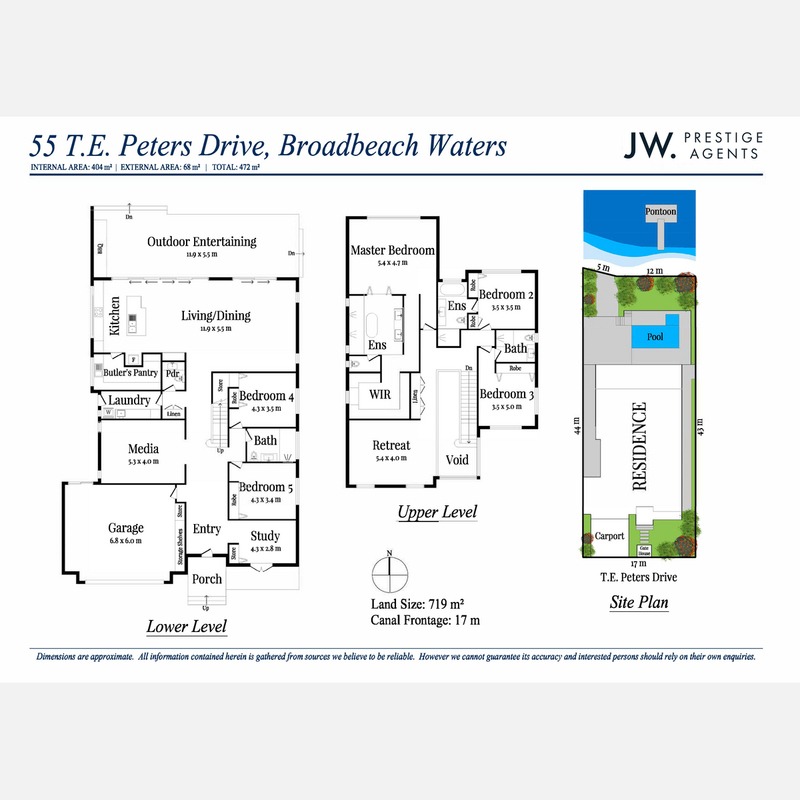 Broadbeach Waters now boasts a brand-new benchmark in luxury living, with this sprawling 5 bedroom, 4.5 bathroom newly built family home. 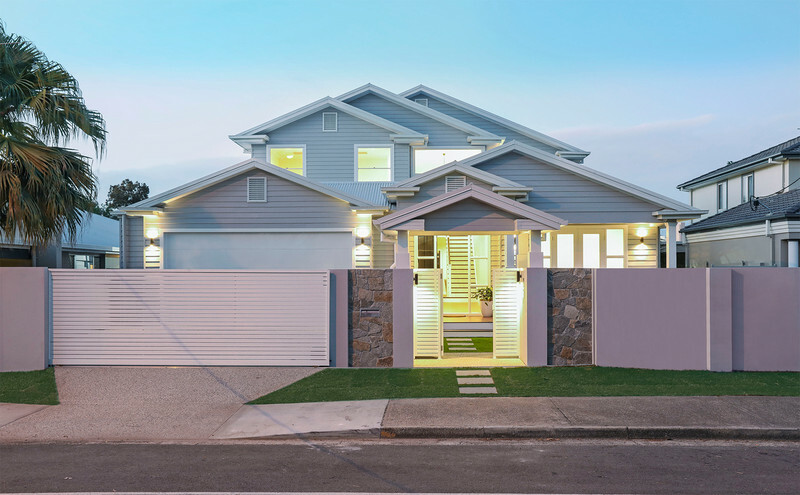 Broadbeach Waters now boasts a brand-new benchmark in luxury living, with this sprawling 5 bedroom, 4.5 bathroom newly built family home. 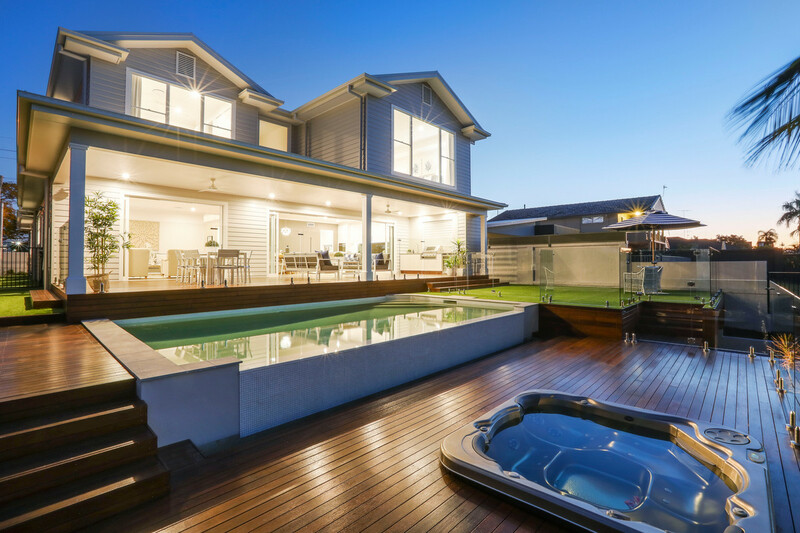 Occupying a prime, north to water aspect on a 719m2 block, this 51Sq coastal oasis offers a contemporary take on the classic Hampton’s style and is ideal for those who demand excellence. 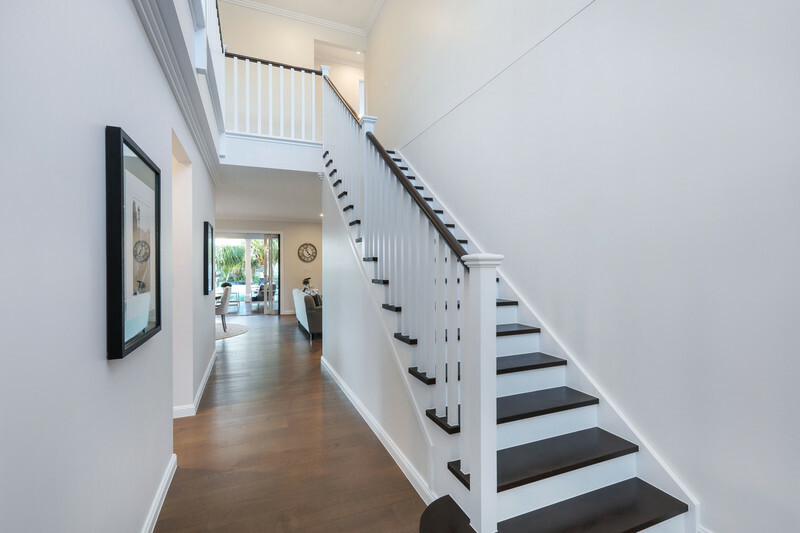 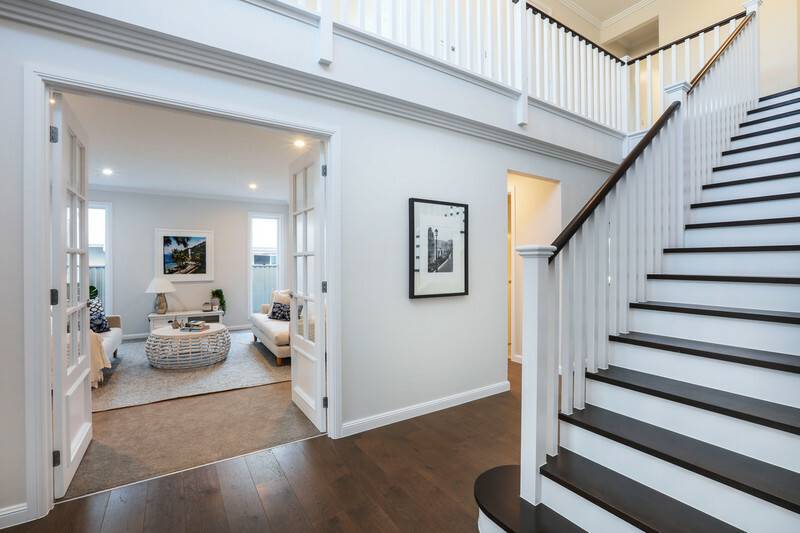 Only moments from Main River and presenting with skyline views, it boasts soaring 18ft ceilings in the grand foyer, multiple living areas and delivers the ultimate in entertaining. 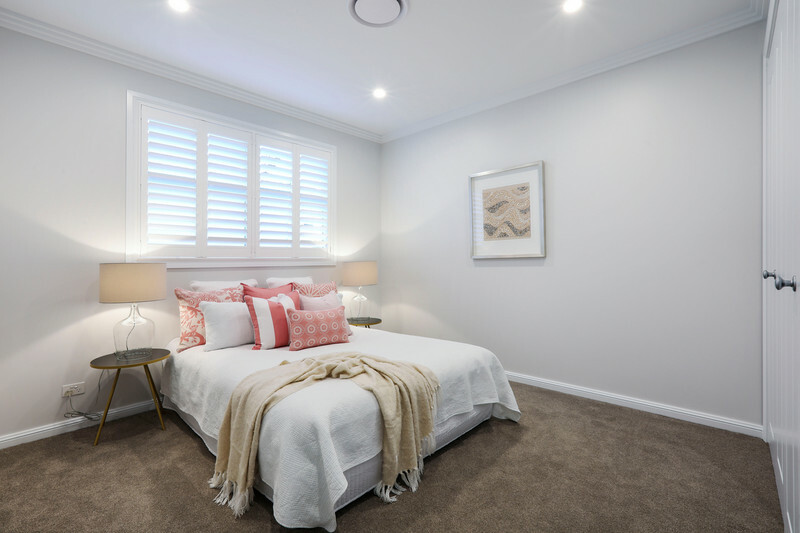 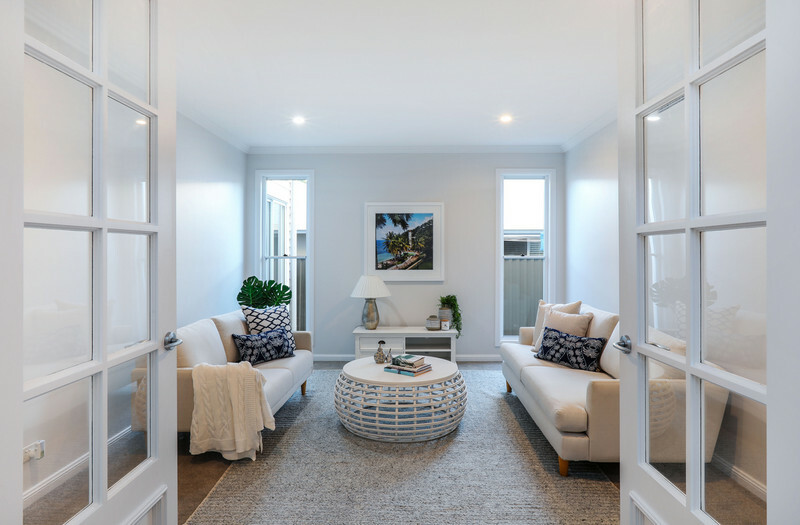 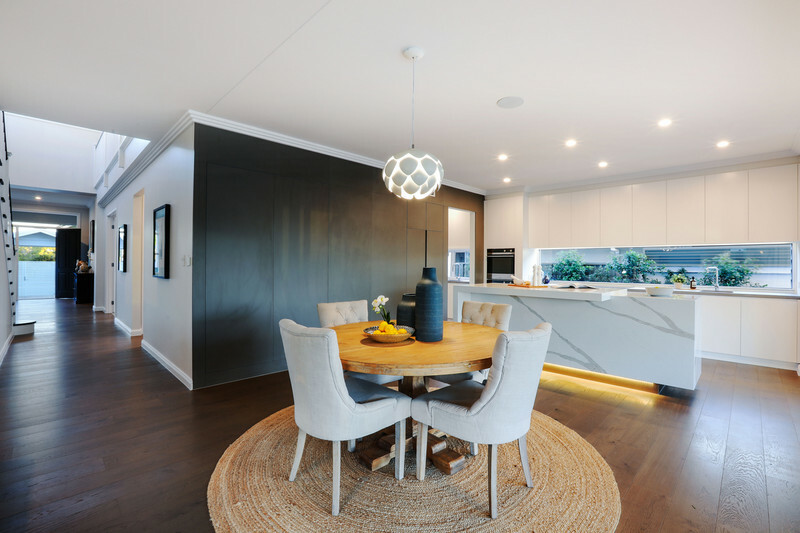 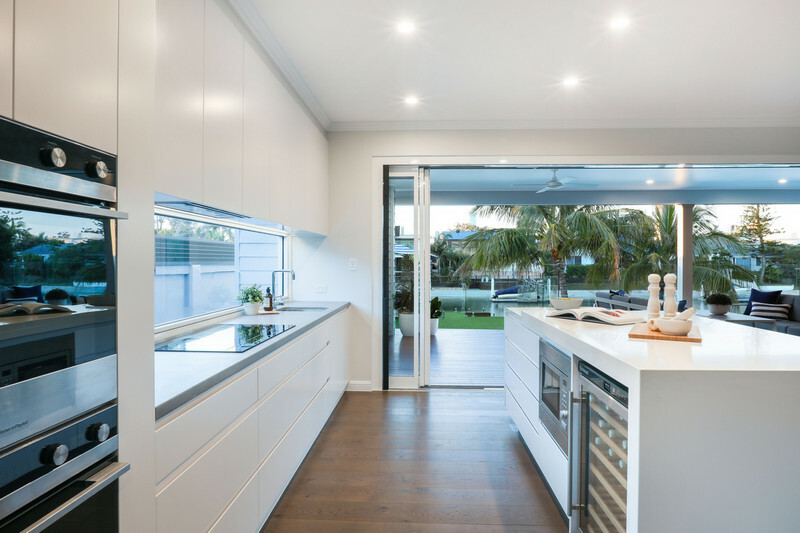 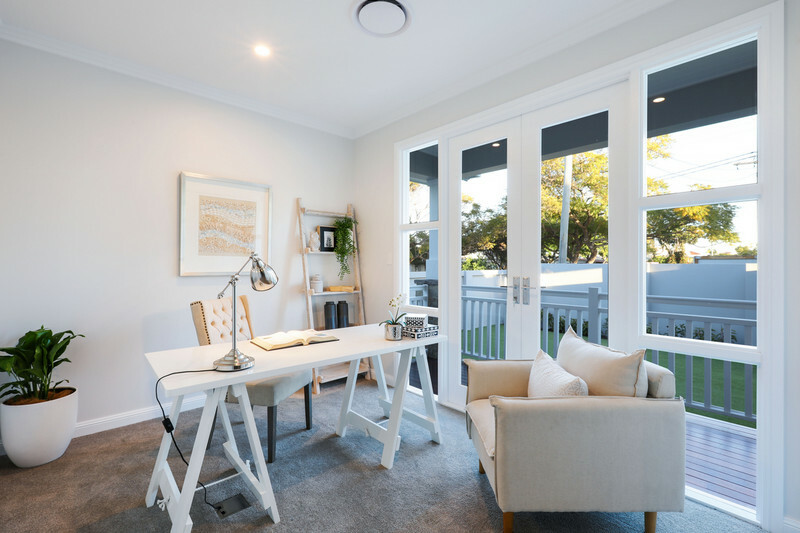 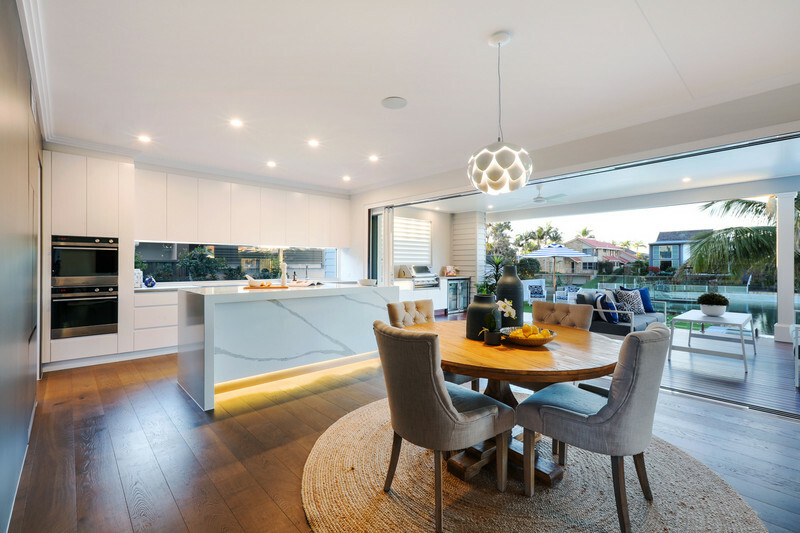 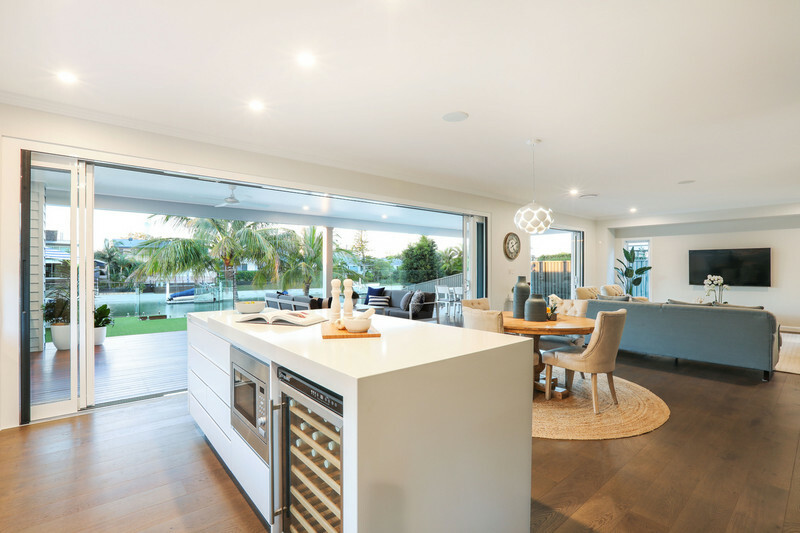 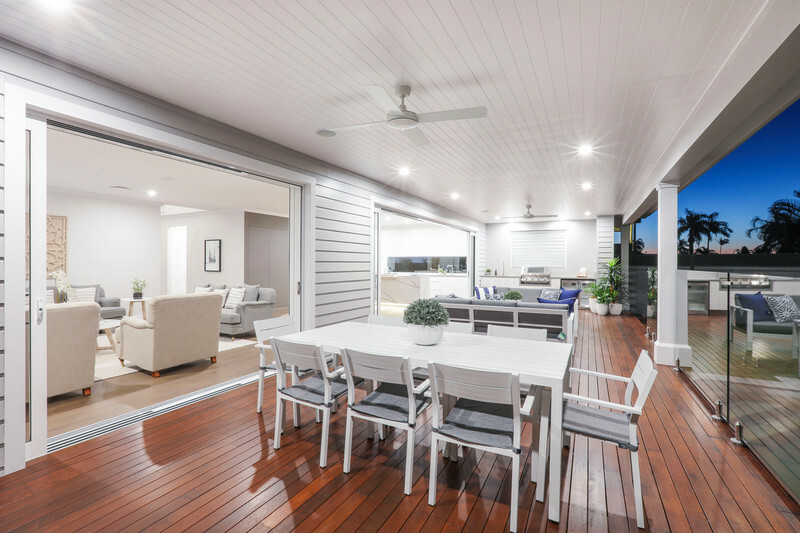 You’ll be instantly drawn to the gourmet kitchen with dual ovens, seamlessly integrated appliances and supersized Butler’s Pantry, before spilling out to a light-filled, open plan living and dining room and beyond to the sunny alfresco area. 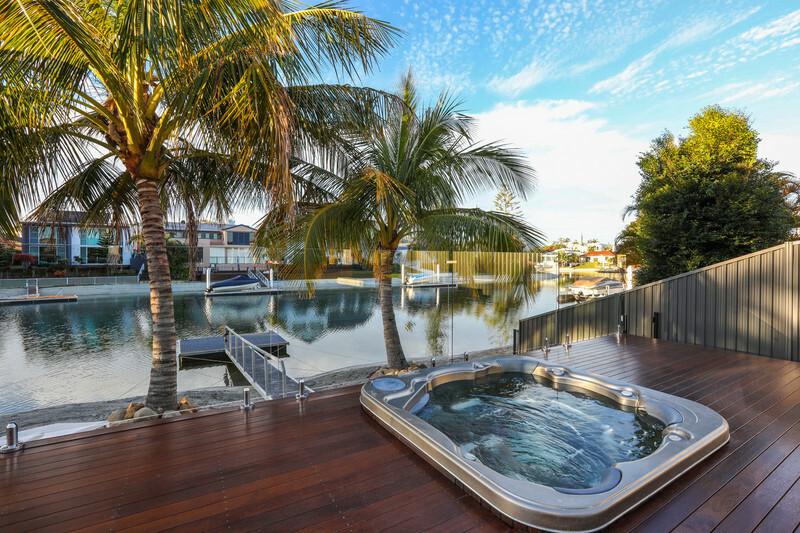 Featuring a covered dining space, fully equipped outdoor kitchen, 8m x 3.5m infinity pool, sunken spa and a pontoon and boat ramp, there’s also a 17m sandy beach-frontage, flanked by tropical palms. 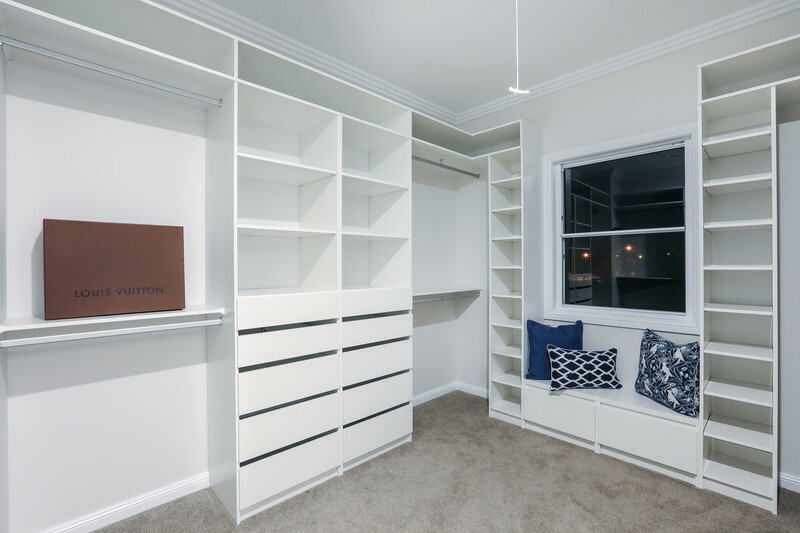 The immaculate attention to detail continues with the bedrooms. 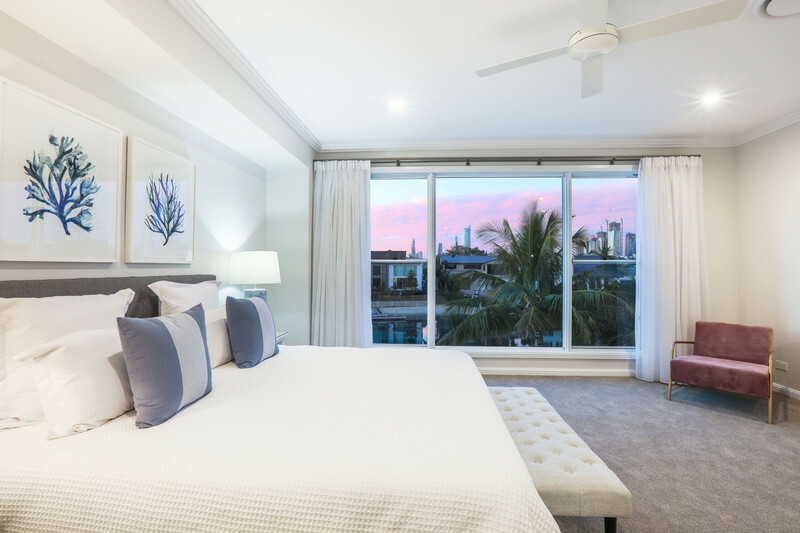 A spacious master suite resides upstairs, with custom walk-in-robe and nestled against the backdrop of panoramic Gold Coast skyline views. 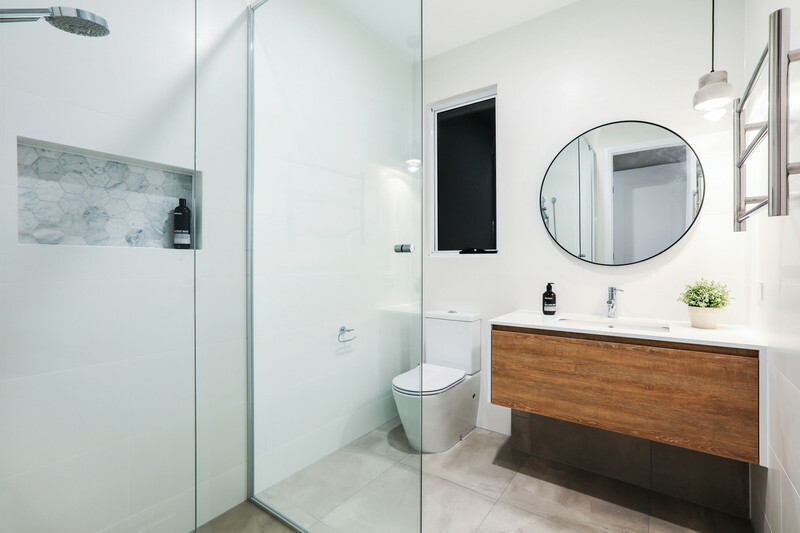 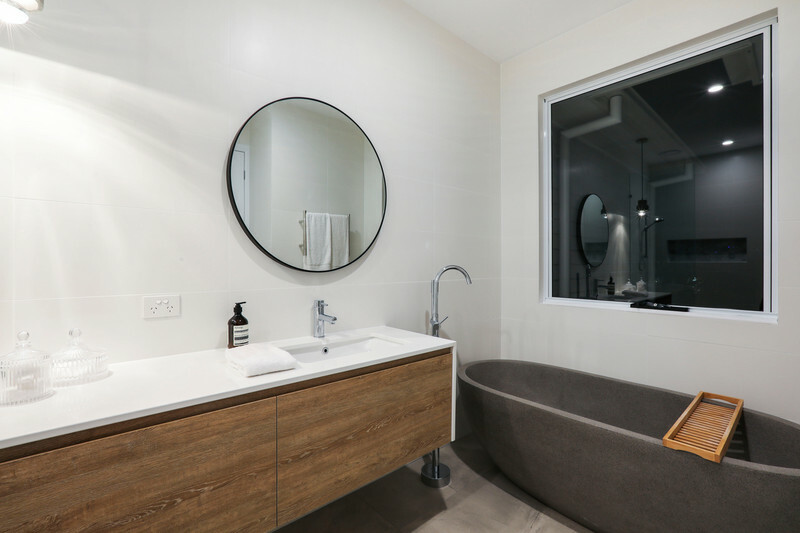 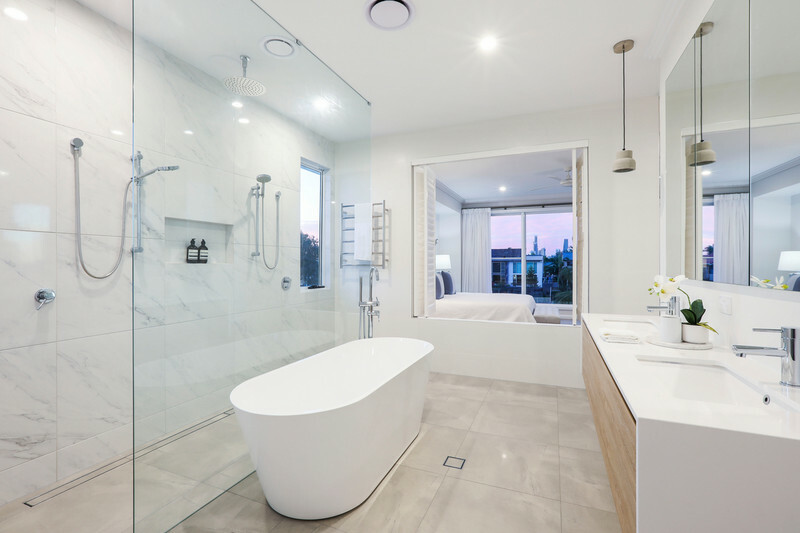 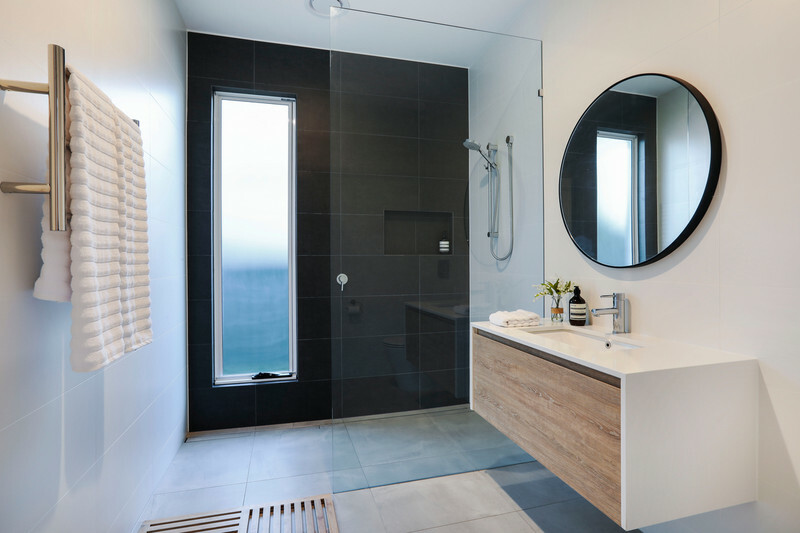 Fusing with the elegant ensuite, via a shuttered window, it comes complete with a dual shower, rain shower and freestanding bath. 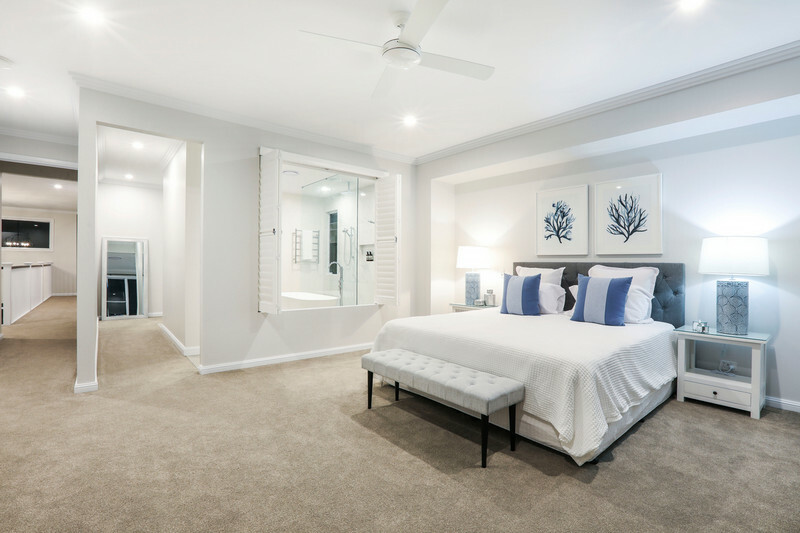 Bedrooms 2 and 3 (also upstairs) are also ensuited, while downstairs, bedrooms 4 and 5 share a private wing and modern bathroom. 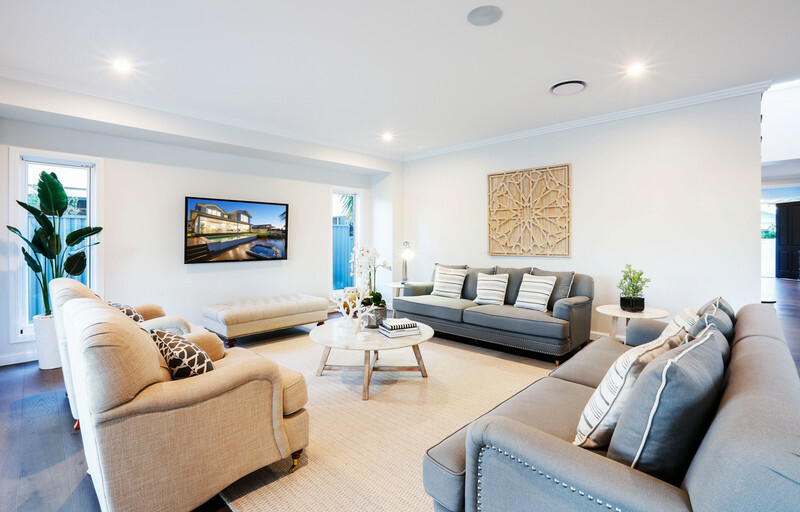 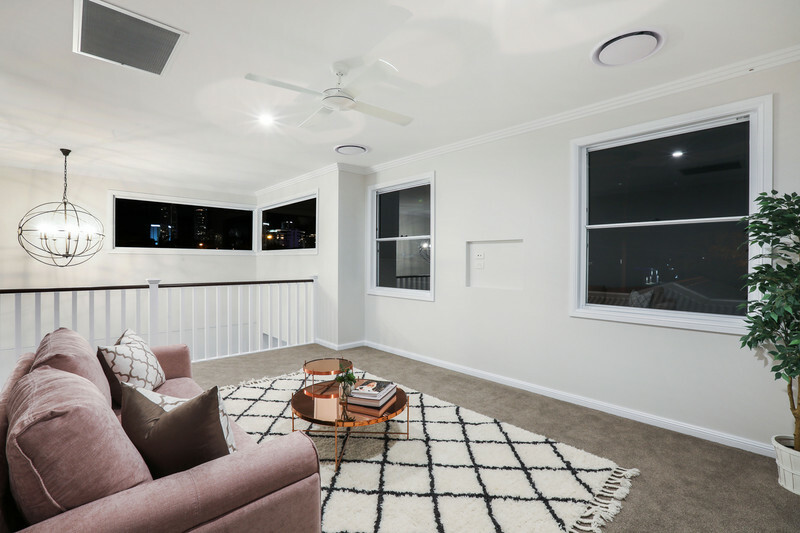 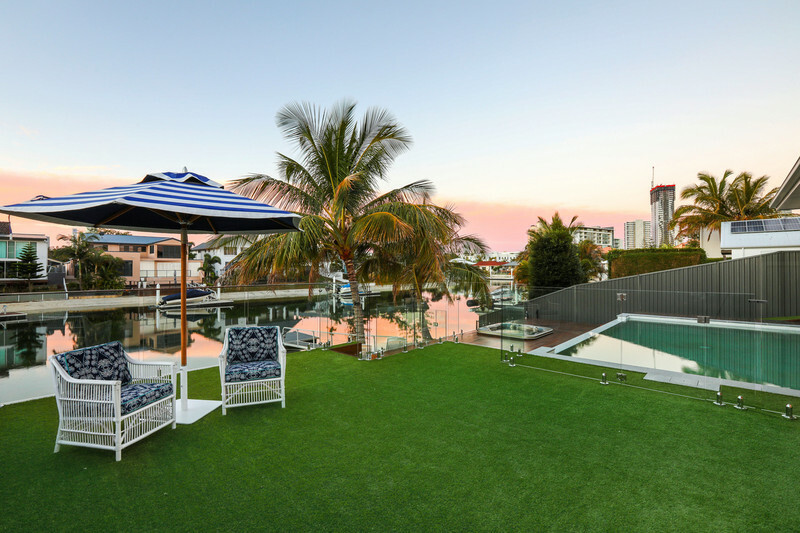 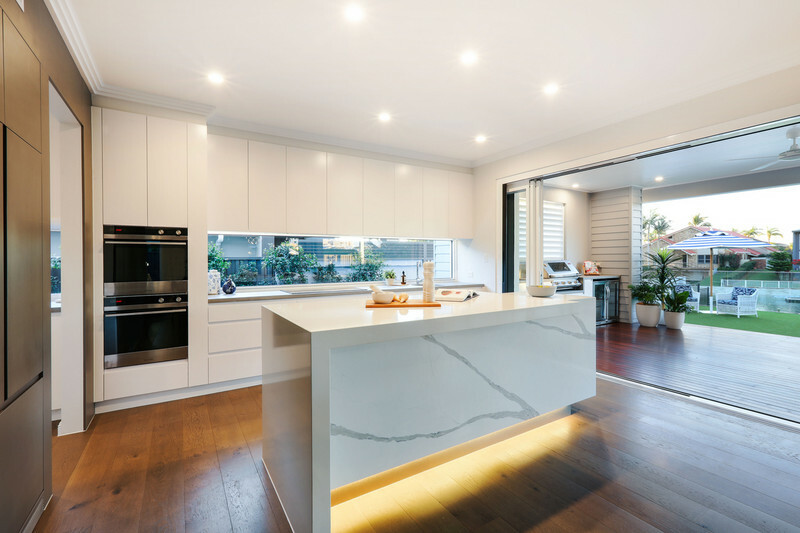 Situated in a sought-after location, within a leisurely stroll to the upmarket GG’s Eatery & Bar (formerly Grocer & Grind) and all the vibrant offerings of Broadbeach, this is your chance to simply move in and soak up the luxurious lifestyle on offer with this 472m2 home. 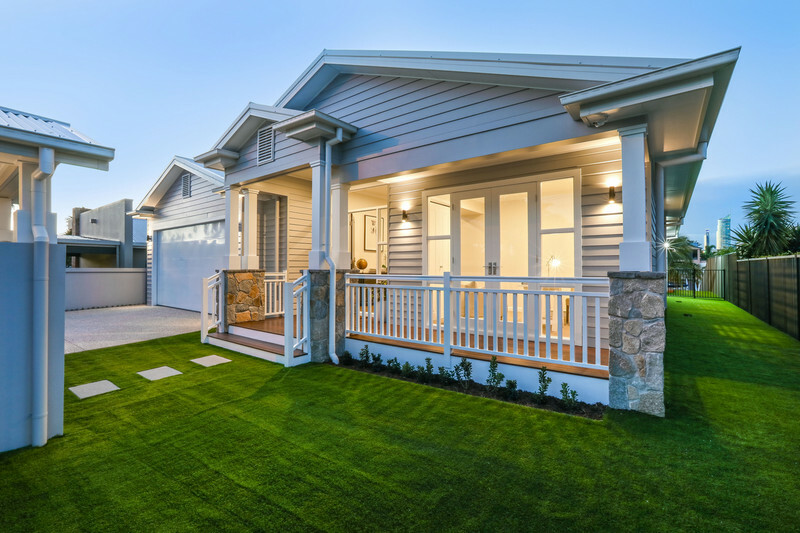 Act now to avoid disappointment and arrange your inspection with Jordan Williams today.